At Elite Dental Care, our team truly sets us apart. We have three compassionate, highly trained dentists, who are committed to ongoing education and the most advanced technology. Our friendly and experienced office team is ready to assist with every aspect of your care, from routine cleanings to filing your insurance claim. We enjoy building relationships with our patients while helping them achieve healthy, beautiful smiles. Come be a part of our one-of-a-kind dental practice. Contact one of our convenient locations in Germantown, Trenton, and Jackson, TN to schedule an appointment. Our office is designed to feel warm and inviting from the moment you walk in the door. All of our doctors are highly educated professionals who are passionate about helping patients achieve healthy, beautiful smiles. Each one is well-versed in comprehensive dentistry while also bringing specialized training and knowledge into the practice. Each doctor is specially trained in oral conscious sedation, orthodontic treatment, implants, and cosmetic dentistry. In addition, we treat children as well as adults. Many patients find that utilizing our office for their whole family is practical as well as convenient. If you have children or others you care for, you can schedule appointments back-to-back, and you only have to deal with one office for billing and insurance. 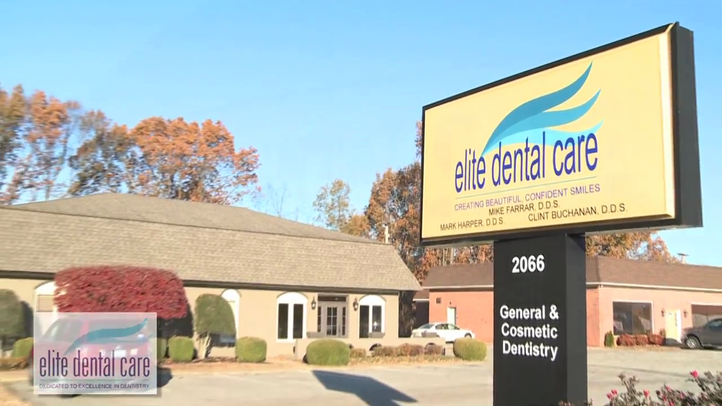 The compassionate team at Elite Dental Care in Trenton and Jackson, TN, takes an individualized approach to treatment that focuses on building trust. Each staff member is dedicated to creating a memorable experience for each patient with a genuine commitment to extending the highest level of service for every procedure. Our dentists believe in changing the lives of their patients through exceptional restorative and cosmetic dental treatments. We consistently receive feedback from our patients about how much they appreciate our office team. Each member of our staff is committed to your health and comfort. We will work hard to make scheduling your appointments as convenient as possible. Our doctors truly love what they do, and they have fun with our patients. Forming personal relationships with everyone is fundamental to our practice. We understand that you have a unique set of oral health needs, cosmetic goals, budgetary restraints, and lifestyle considerations. When designing your treatment plan, we will take all of these factors into account. Sedation dentistry is one of our most notable offerings, providing significant benefits with minimal risks. If you have delayed dental care due to anxiety, oral conscious sedation combined with nitrous oxide can put your mind at ease. All of our doctors have completed post-graduate training from the Dental Organization of Conscious Sedation (DOCS). Since that time, they have treated more than 5,000 patients using safe, gentle oral sedation. Forming personal relationships with our patients is fundamental to our practice. Our Trenton location opened in 1979, but our newly renovated waiting room and business office have added a modern feel. Located near the high school, it is a freestanding building with plenty of available free parking. Our newer Jackson office opened in 2011. This location is also convenient and easily accessible, located near the intersection of Oil Well Road and the Highway 45 Bypass. We believe in incorporating advanced technology into our practice. We use 3-D cone beam CT scanners to obtain sharp, detailed images of individual teeth and overall bite alignment. We also offer state-of-the-art E4D CAD/CAM technology to provide same-day dental crowns to qualified patients. Though we proudly provide outstanding care for local patients, people also come to us from outside the immediate area. Many of our patients travel over 100 miles each way to benefit from our sedation dentistry techniques, a unique service in the region. To learn more about our practice or to schedule your first appointment, please contact our office today.